No program is written on the LPC1114FN28. Because an I/F chip on the substrate backside has a function of writing, you can use it as a writer of LPC1114FN28 with the ZIF socket. 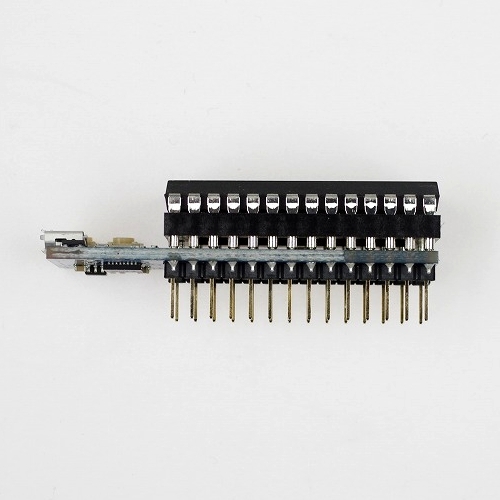 The Micro-B USB receptacle comes with mbed LPC1114FN28. 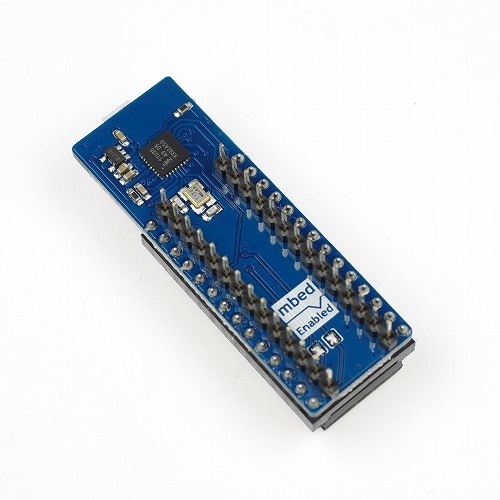 You can use it in the same way as other mbed through a Micro-B USB cable. You can check the version of the interface firmware, by opening mbed.htm in MBED drive with text editor. Latest version is "Version: 0203 Build: Jun 21 2014 14:54:15". On the latest version, these issue were solved. USB stack and RTOS were in race conditions when using CDC and MSC at the same time. The flash in LPC1114FN28 was not erased properly when writing user program. 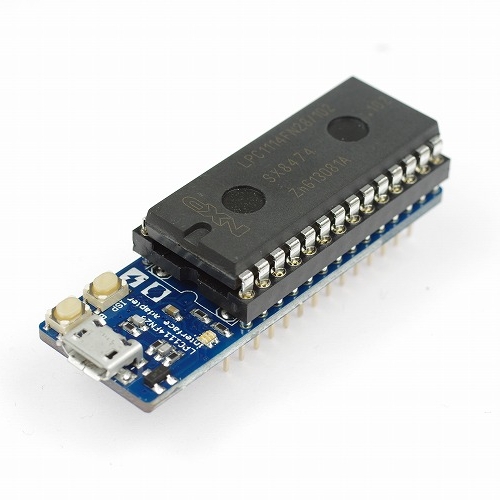 For the detail, please find "Firmware LPC1114FN28" on mbed.org. 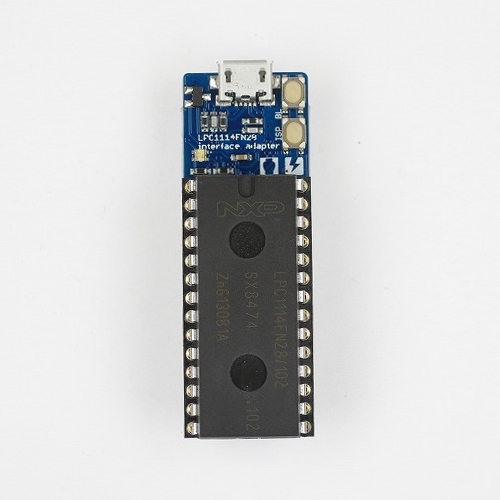 The LPC1114FN28 is an ARM Cortex-M0 based, mbed enabled microcontroller, offering performance, low power, simple instruction set and memory addressing together with reduced code size compared to existing 8/16-bit architectures.